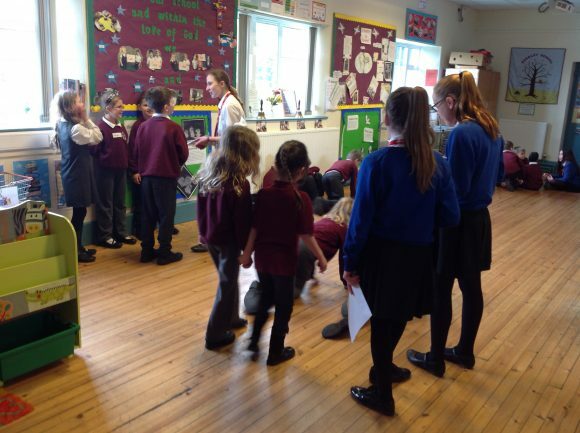 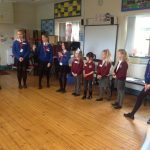 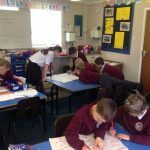 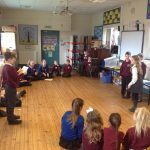 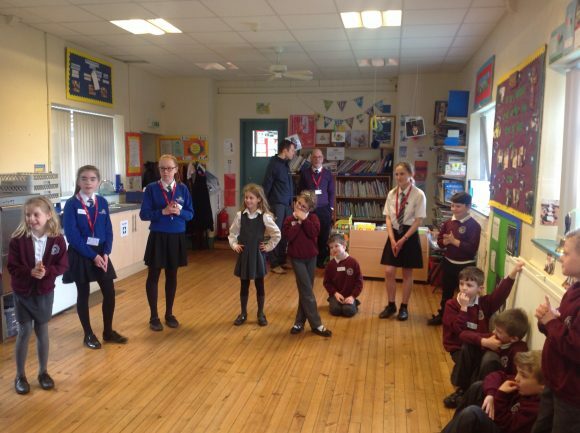 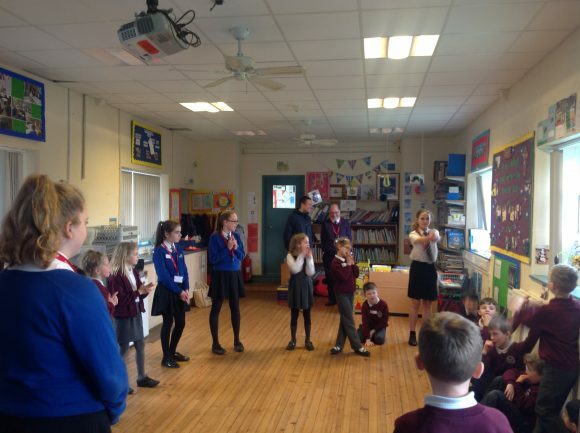 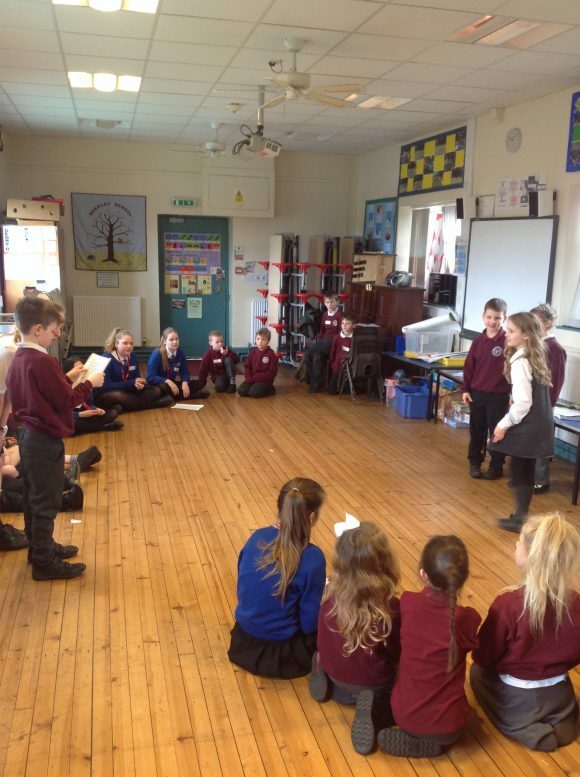 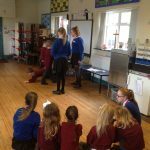 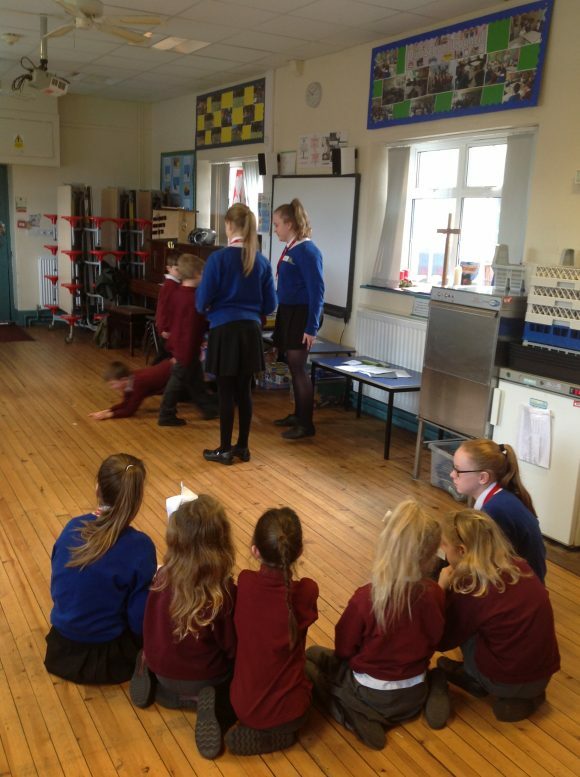 Badgers have currently been working on a project with a group of year 8 girls from Selwood, that involves exploring literacy through drama. 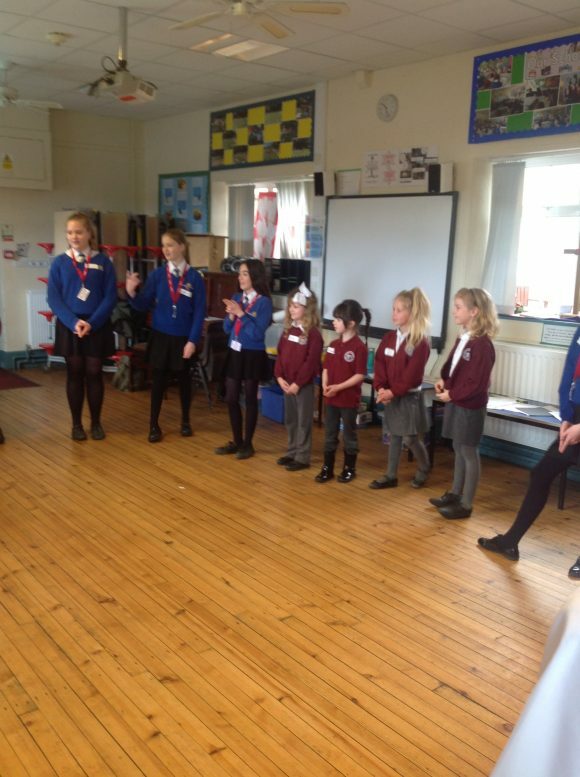 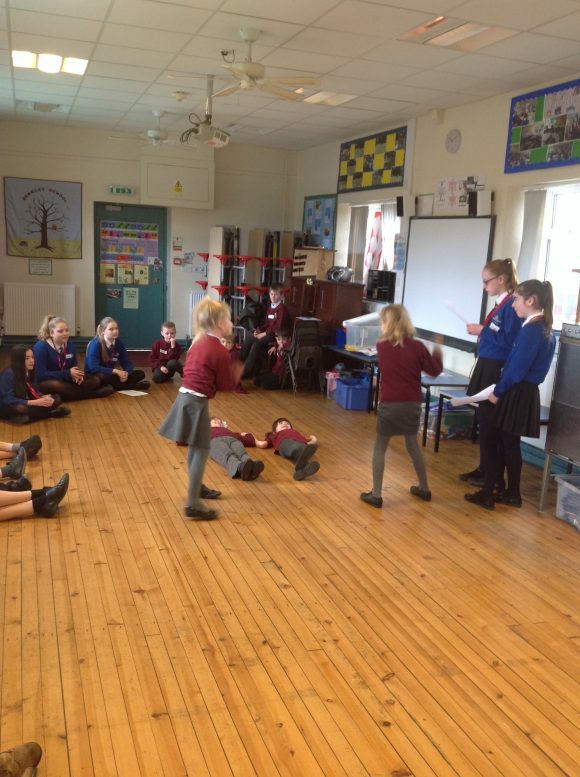 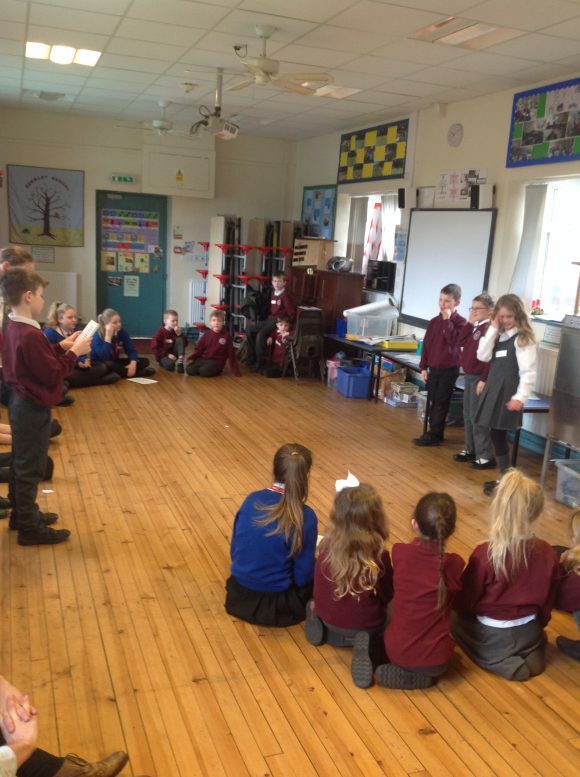 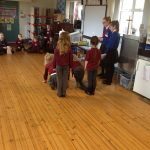 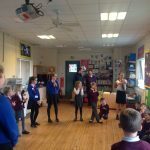 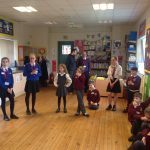 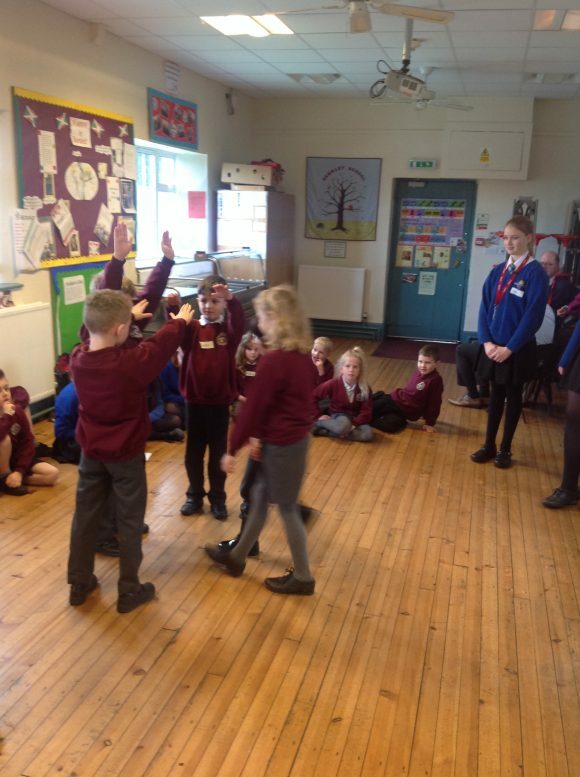 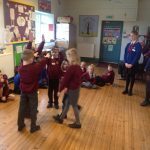 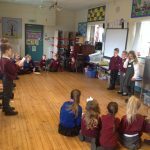 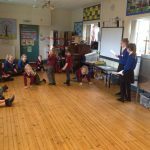 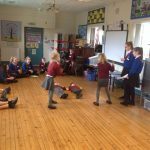 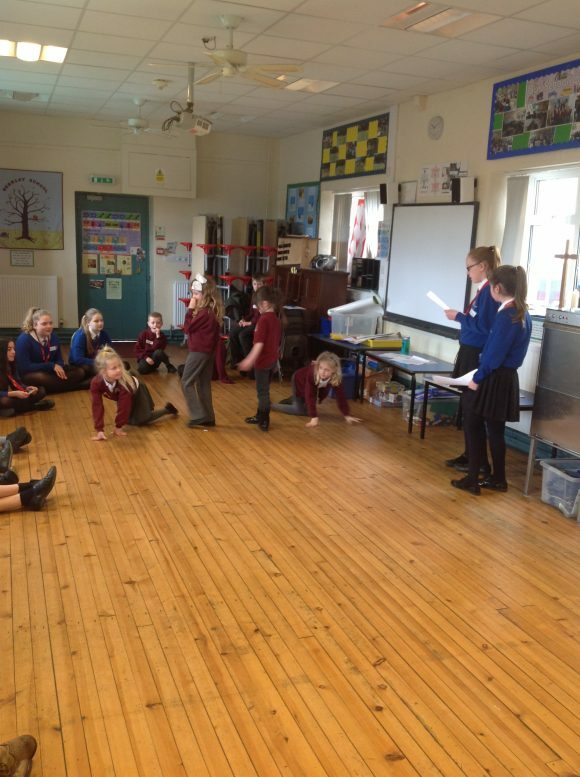 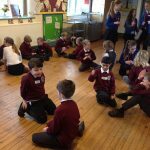 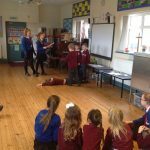 The children were acting out scenes from ‘The Green Children of Woolpit’. 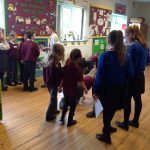 They were exploring the green children’s thoughts and feelings throughout. 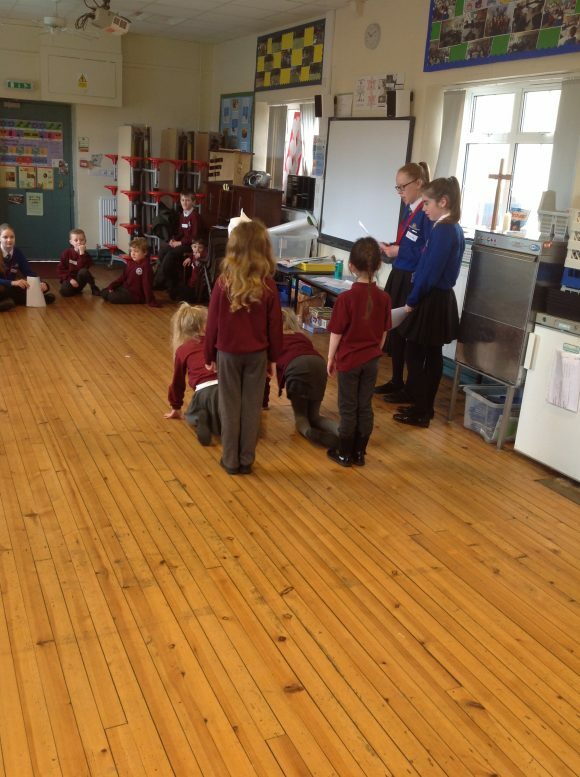 The 8 girls were with us for the day and during the afternoon they did some art activities with badgers. 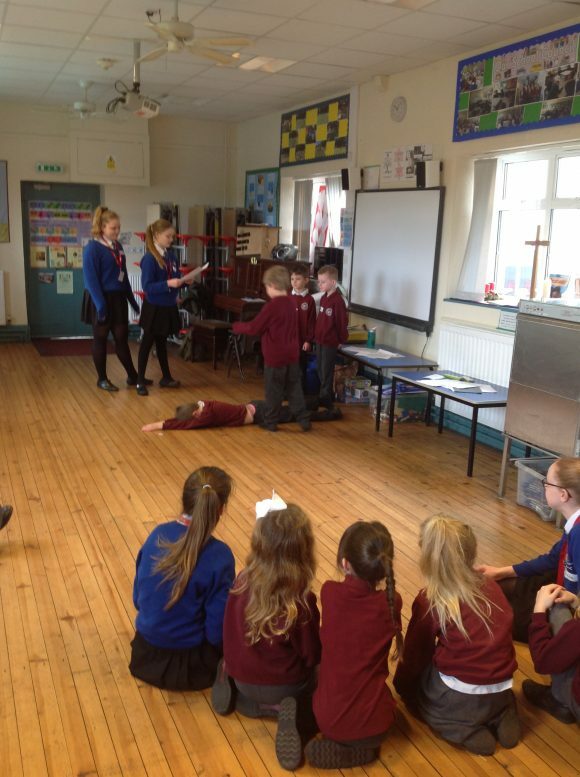 The aim was to create St. Martin’s Land (home of the green children). 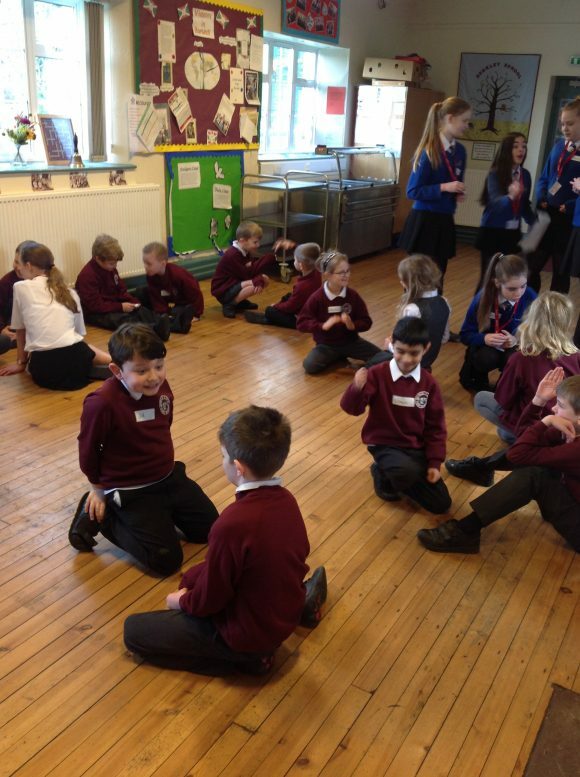 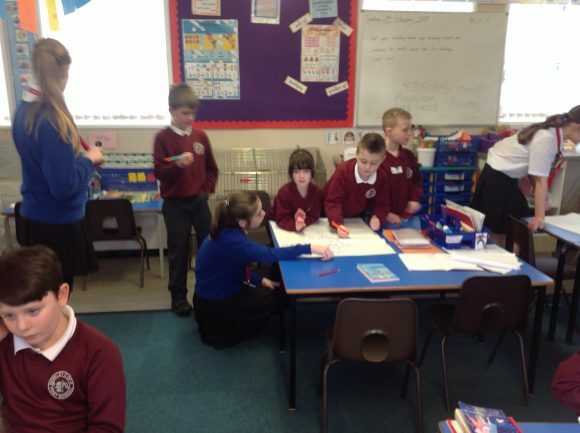 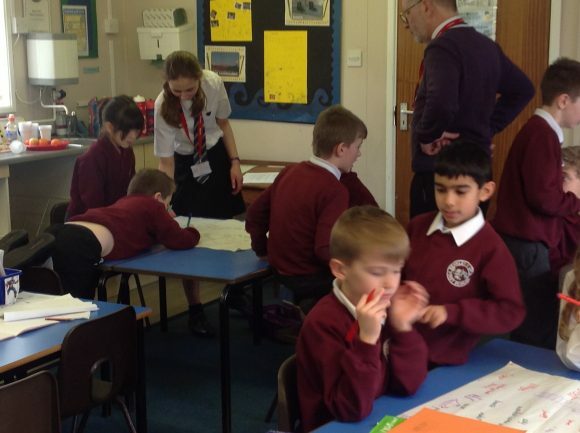 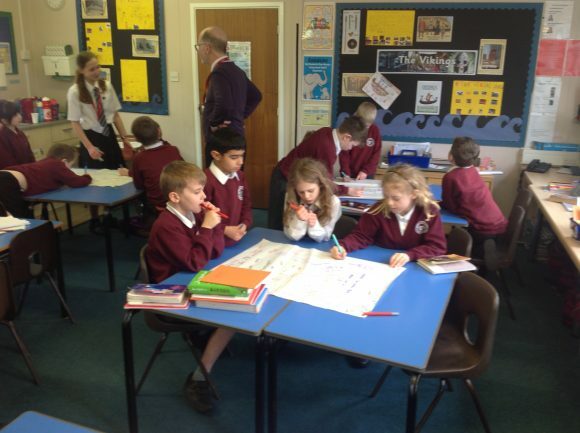 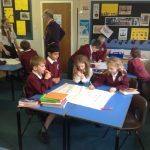 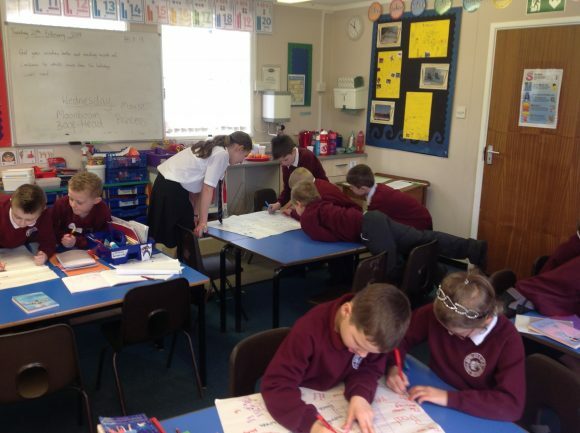 It was a fantastic day and the 2 groups of children worked spectacularly together!